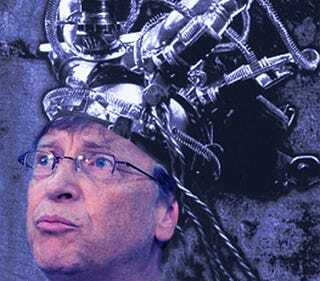 Bill Gates may love his Ford Focus, but he's got plans to improve on age-old combustion, applying—along with Nathan Myhrvold and others from the Intellectual Ventures gang—to patent a smart engine with electromagnetic pistons. The application, scooped up by our buddy Todd at TechFlash, describes a machine that would have pistons, and would even burn some kind of fuel (a "reactant" ignited by sparkplug), but would be aided by electromagnets to speed up the recovery process, and do away with the need for alternating pistons. Basically, the piston would fire, then be rapidly slammed back into closed position by the magnetic force. Theoretically, the piston could operate entirely without fuel, using magnetism on both ends to rapidly repel and attract. The neatest configuration, to me, is the one with two pistons, end to end, with a single combustion chamber and sparkplug. The fuel burns shoving both outward, and the electromagnetic mechanism slams them back together.